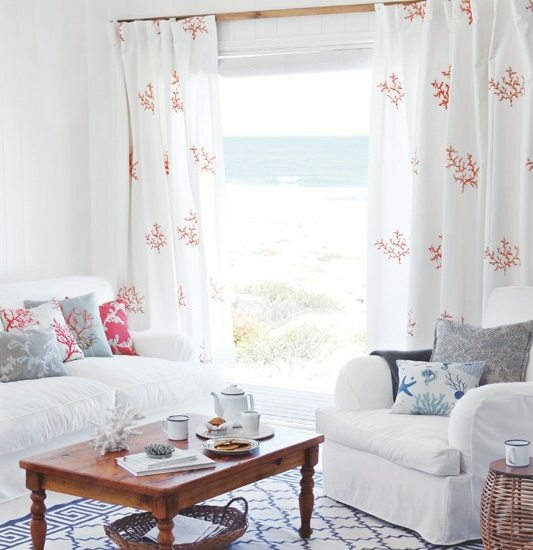 These soft blue and white living rooms are bright and happy spaces where you see shorebirds, sea life and garlands, little lighthouses, and plenty whimsical pillows tossed in the mix. My kind of beach oasis! 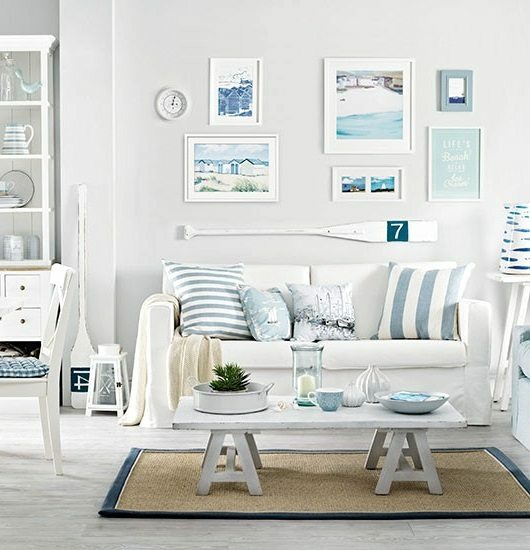 So, to turn your living room into a happy upbeat beach oasis, keep it bright with white, misty greys (first room) and soft blues. Make sure to bring in plenty of natural textures. 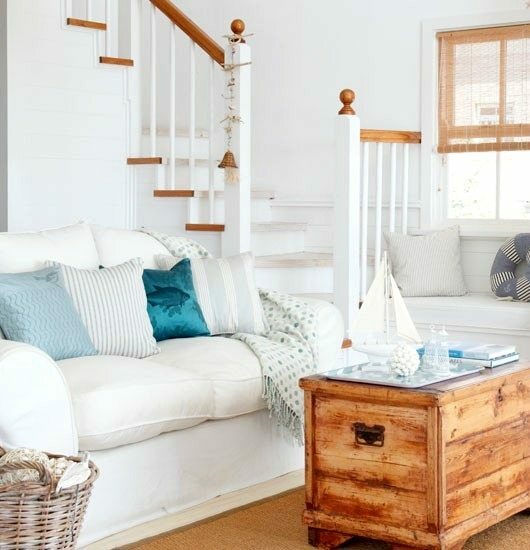 Sisal rugs, wood coffee tables and woven baskets are a great choice. 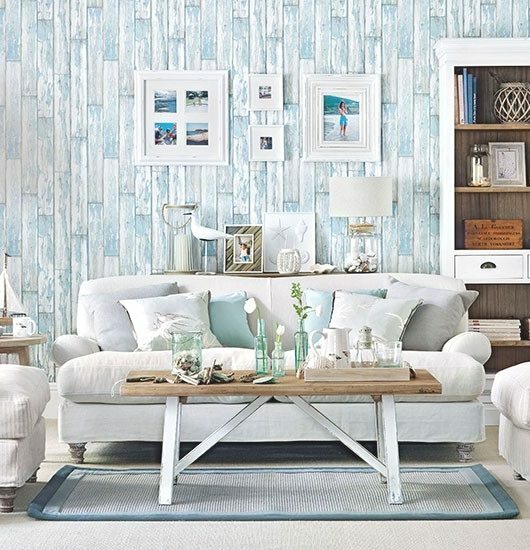 And I also love the idea of a paneled wood accent wall. 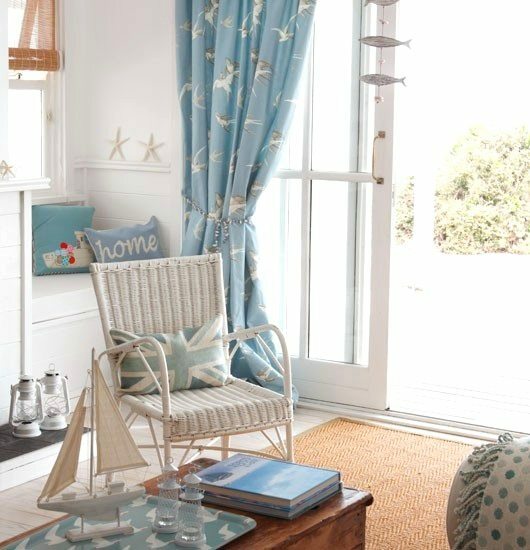 It just feels so beachy to me, and it adds a coziness to the room that I really appreciate. Although, I still see a lot of people (on HGTV) wanting to rip those wood panels off the walls! Like with everyting, it’s a matter of taste. Then, don’t be shy when it comes to adding a few fun whimsical accessories and pillows! 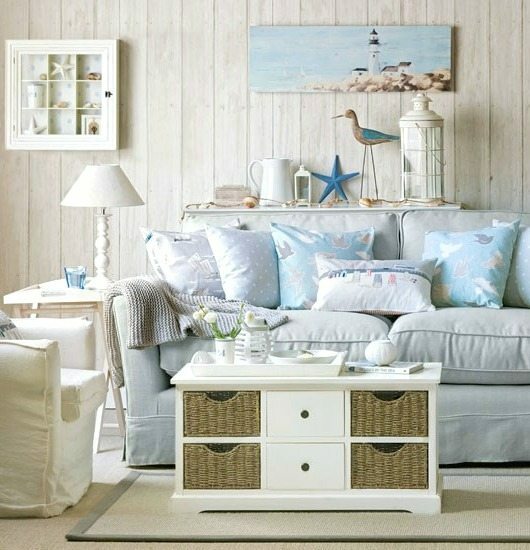 I know, sometimes it’s a fine line between whimsical and kitschy (and too much), but I don’t think any of these beach living rooms have crossed that line. 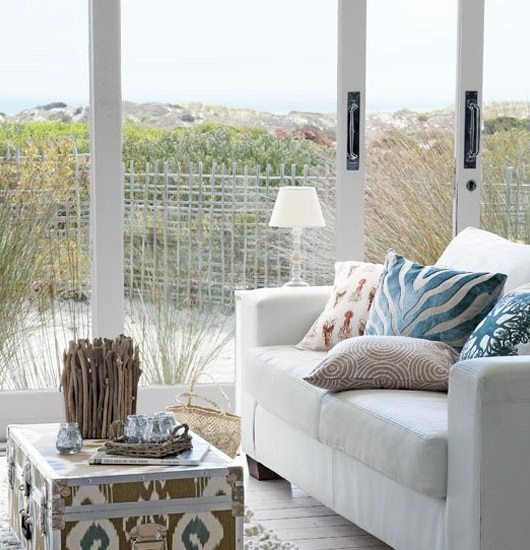 I think, each one of these spaces is a happy beach oasis! All images were gathered from House to Home’s vast Collection of Living Rooms.